After the hard work keeping the weeds at bay comes the good bit,harvesting the stuff you've grown,it's then you discover that the aches and pains from the digging,weeding and everything else have all been worth it. We dug our first lot of spuds up in June (this post is a bit late) and despite the plants looking a bit sorry for themselves we actually got a good haul of new spuds,12kg in fact,which is 3kg more than last year. Not bad,should last a while. 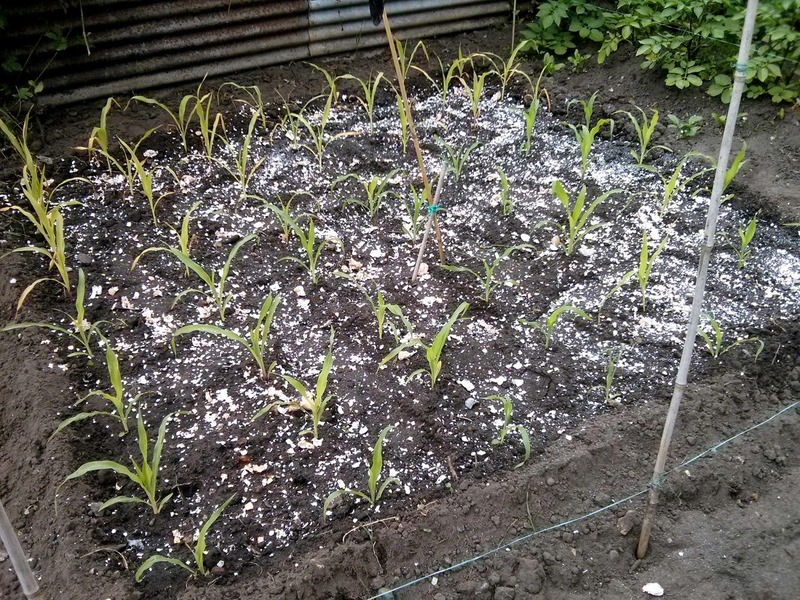 I've already filled the hole where the spuds were with this years sweetcorn,and it won't be long before some of the other stuff can be dug up,like the carrots and possibly some of the onions. More plants than last year. Fingers crossed we'll get a crop of corn,these plants are all grown from seeds we saved from last years crop,kind of experimental maybe,but it'll interesting to see what happens. 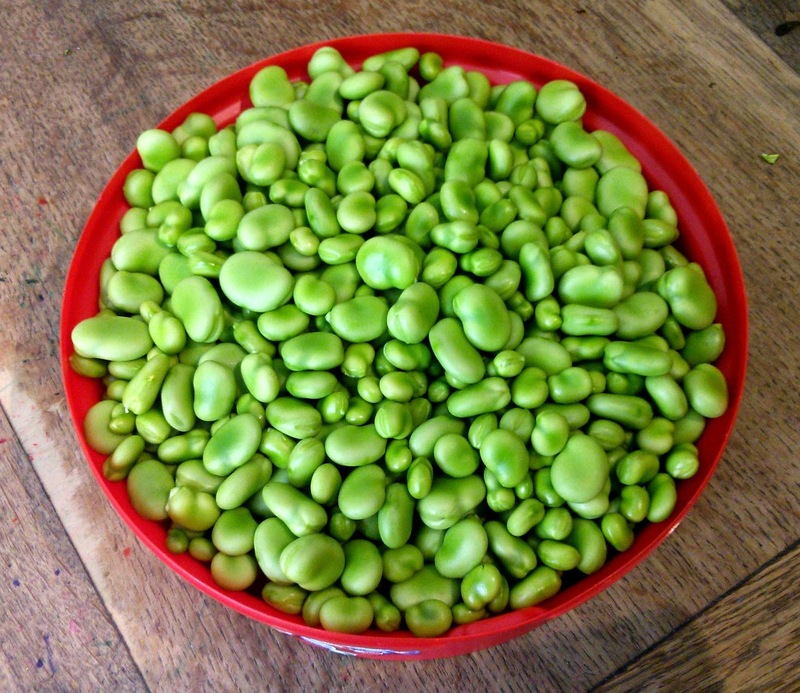 We've also picked the broad beans and although we didn't get quite as much as last year this is because we've picked the beans a bit earlier while they are still smallish,even so we've still got over 2kg of broad beans,which have now been blanched and put in the freezer (by my lovely wife) for the winter,they are very good in stews. Very tasty,and good for you. Get yourself some picking elves,they come in handy. The pea harvest was a bit of a non starter really, we got enough for a meal,but we would have had much more if it wasn't for the rodents,yes we've had a bit of a rodent problem on the site this year,we're not the only ones having issues with the furry buggers,and it has to be said some people aren't helping by giving the rats and mice places to hide,but enough about that. 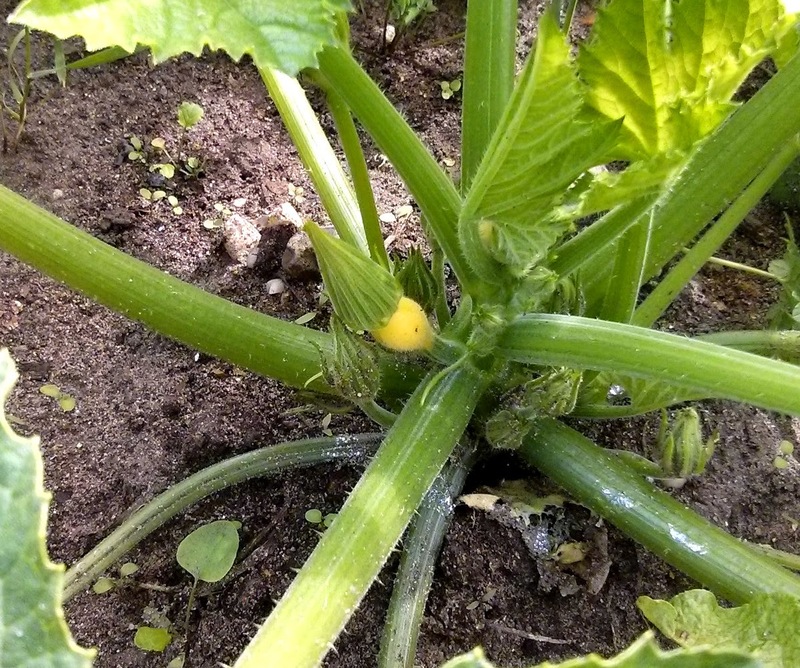 Some of the squash plants are starting to show signs of fruits,hopefully the rodents won't get too them,we'll have to make sure they don't. I'm hoping for some large pumpkins this year. And here's everything we got on the kitchen table,there's some rhubarb and a couple of beetroot's,but we've got more on the way,and even though we've got slightly less of some things we had extra spuds,and I guess that in years gone by this is something farmers and gardeners of old would have had to adapt to. Can't beat home grown veggies. 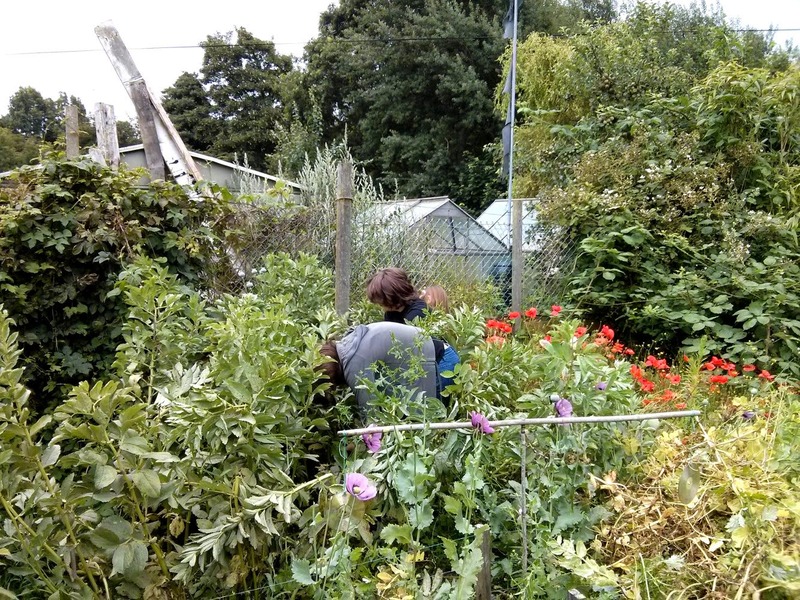 There's plenty more going on at the plot,and the council have seen fit to change the rules again so there's that to get to grips with as well,it's all good fun. Thanks,we're getting there,fingers crossed the other stuff escapes the eyes of the rodents. We've got another load of spuds still in the ground but it does seem to be a good year for spuds so far.